ATILA Finite Element Method (FEM) software facilitates the modelling and analysis of applications using piezoelectric, magnetostrictor and shape memory materials. It allows entire designs to be constructed, refined and optimized before production begins. Through a range of instructive case studies, Applications of ATILA FEM software to smart materials provides an indispensable guide to the use of this software in the design of effective products. Part one provides an introduction to ATILA FEM software, beginning with an overview of the software code. New capabilities and loss integration are discussed, before part two goes on to present case studies of finite element modelling using ATILA. The use of ATILA in finite element analysis, piezoelectric polarization, time domain analysis of piezoelectric devices and the design of ultrasonic motors is considered, before piezo-composite and photonic crystal applications are reviewed. The behaviour of piezoelectric single crystals for sonar and thermal analysis in piezoelectric and magnetostrictive materials is also discussed, before a final reflection on the use of ATILA in modelling the damping of piezoelectric structures and the behaviour of single crystal devices. 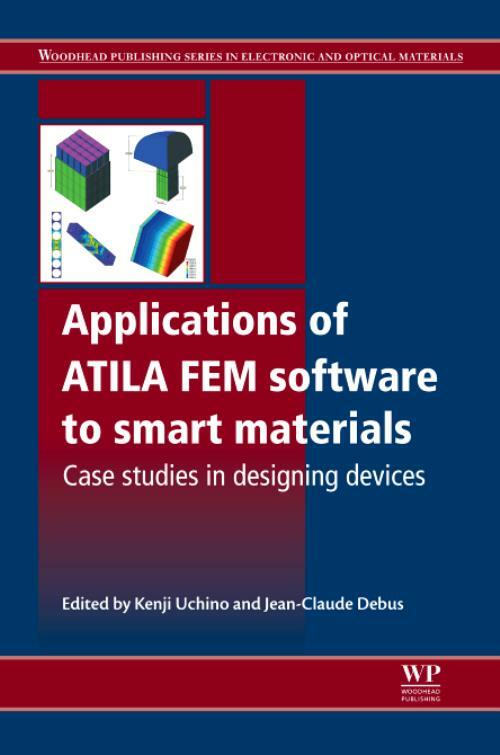 With its distinguished editors and international team of expert contributors, Applications of ATILA FEM software to smart materials is a key reference work for all those involved in the research, design, development and application of smart materials, including electrical and mechanical engineers, academics and scientists working in piezoelectrics, magenetostrictors and shape memory materials. Debus, Jean-ClaudeProfessor Jean-Claude Debus is the Acoustics Department Director at the Institut Supérieur de l'Electronique et du Numérique, France. Both Professor Uchino and Professor Debus are internationally-renowned for their research in electronics.